The crucial round of talks aimed at resolving Iranian nuclear crisis was held in Geneva this week. It coincided with Israeli Prime Minister Benjamin Netanyahu visit to Moscow. While President Obama hints the historic deal with Iran is within reach Mr. Netanyahu is desperate to prevent it, trying to convince world leaders they are on the verge of making tragic mistake. 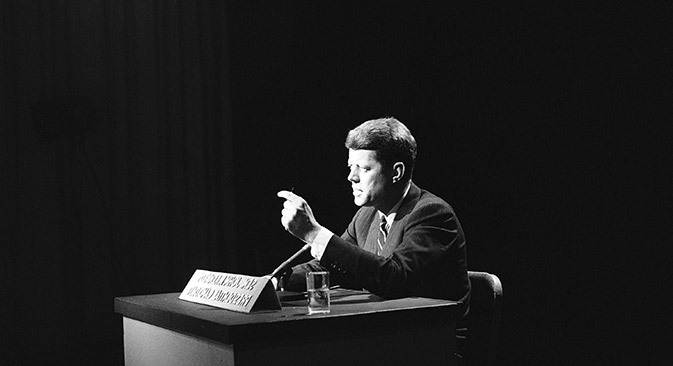 The 50-th anniversary of the assassination of President Kennedy, marked this Friday, sparked new debates on JFK’s role in the life of modern America and his lasting influence. While President Obama, accompanied by First Lady Michelle Obama, ex-president Bill Clinton and former Secretary of State Hillary Clinton paid tribute to outstanding American leader by laying wreaths at Kennedy’s grave, historians and political pundits were making another attempt to unwrap JFK’s riddle, the circumstances of his enigmatic life and death. George Zimmerman, a former neighborhood watch volunteer, who was found not guilty in the death of Afro-American Trayvon Martin this July, was held on new charges of aggravated assault and domestic violence. This time his alleged victim is his girlfriend, Samantha Scheibe.